SOMETIME this week, a frail old man with a big toothy grin will shuffle out of a Bali prison in a move that will infuriate and bring joy to thousands of people in equal measure. 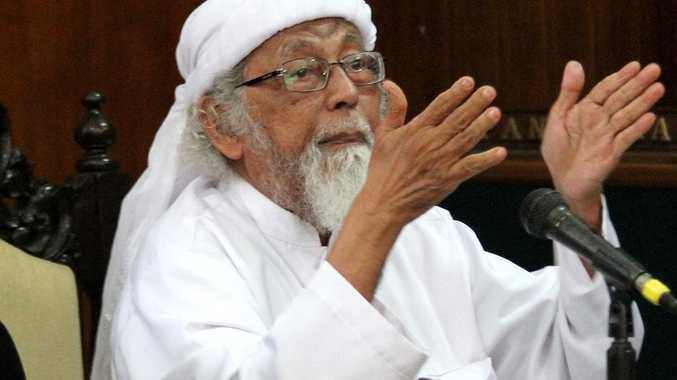 The Islamic cleric Abu Bakar Bashir, the ideological leader of the Bali bombers and an army of Indonesian militants, is being released early from a 15-year prison sentence with Indonesia's President Joko Widodo relenting on his lawyers' appeals. The President had only one condition for the 81-year-old that he renounce his radical beliefs; this was a watering down of earlier conditions including that he recognise the secular government. He refused this on the grounds he believes the government should be Islamic and that he was answerable to only one man - God. Exactly what constitutes "radical" for him to renounce is debatable and Bashir's version condemns violence but not other views other would see as extremist. At any rate no concession has been made. So why now is the spiritual leader of the al-Qaeda-linked terror group Jemaah Islamiyah which committed the 2002 Bali bombings killing 202 people including 88 Australians controversially set to walk free? According to the President, it was on "humanitarian grounds because he's ageing also his health". "We have considered it for a long time, since the beginning of last year involving the national police chief (Tito Karnarvian), the co-ordinating Minister for Political, Legal and Security Affairs (Wiranto) and (legal) experts, and lastly with Professor Yusril," he said. But Australian authorities, privately outraged at the move, point to other potential reasons including the fact the President is in the midst of a presidential election with the world's largest Muslim nation set to go to the polls on April 17. Conservative voters have long railed against perceptions President Widodo was "insufficiently Islamic", and too Westernised and so his granting release of such a significant spiritual Islamic figure will be well greeted well by conservatives. Ironically, Bashir's lawyer Muhammad Mahendradatta is also on the team of former military General Prabowo Subianto who is President Widodo's challenger in the presidential election. 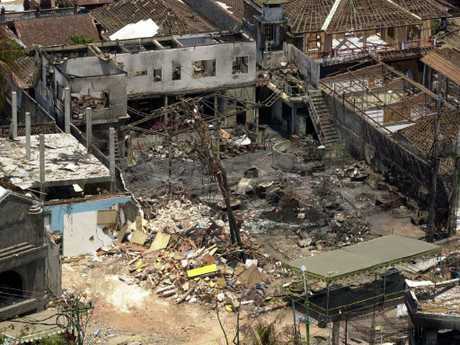 The ruins of the Sari nightclub after the 2002 Bali bombing. He has been campaigning with an image of a true Muslim, vowing to protect all religious leaders, chief among them Muslim clerics, citing their significant contribution to winning the country's independence from the Netherlands in 1945. "As Indonesians we shall not disrespect our Islamic leaders, our ulema, and other religious leaders among us," he told a campaign rally on the weekend. But Mahendradatta said Bashir's release had nothing to do with politics. 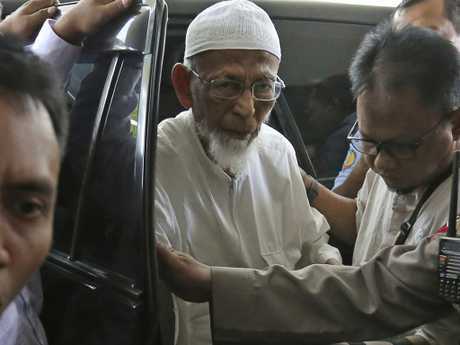 "Abu Bakar Bashir's release was based on humanitarian reasons and based on acceptable reasons according to law," he said. On Saturday lawyer Yusril Ihza Mahendra, chairman of an Islamic political party and adviser to Widodo's re-election campaign, told State media the president was also now able to "respect" the former firebrand Bashir's beliefs and ease any conditions which he described as "ministerial regulations". "Seven of my friends died, they don't get the chance to live out the rest of their lives in peace. Why should he (Bashir) … I think it's just appalling," former captain of the WA's Kingsley Football Club Phil Britten said. He was lucky to survive but lost seven friends when he and 19 teammates were caught up in bomb detonation at the Sari Club. "The pain still lives on for many people and this is just another splinter that will be exposed knowing this guy will be released." His mate Peter Hughes, badly injured in the blast, said Bashir had blood on his hands and his release was a disgrace. "He probably deserves the death penalty more so than the guys that actually did it themselves … I believe he was totally responsible. "Even though he's old, he still holds an audience that would want to still go round and kill people." Bashir was arrested almost immediately after the blasts but prosecutors were unable to prove his direct involvement so instead jailed him on immigration infinrgements. But in 2011 he was sentenced to 15 years in prison for supporting a military-style training camp for Islamic militants at a school deemed a "factory" for young militants in the central Javanese city of Solo. 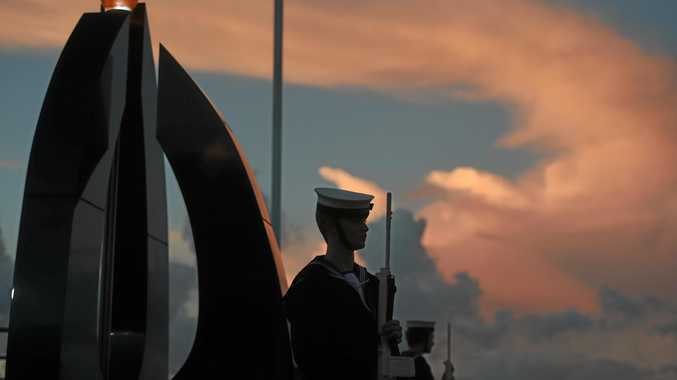 Australia has consistently urged Indonesia against any leniency for the man but cannot meddle in foreign jurisdictions.